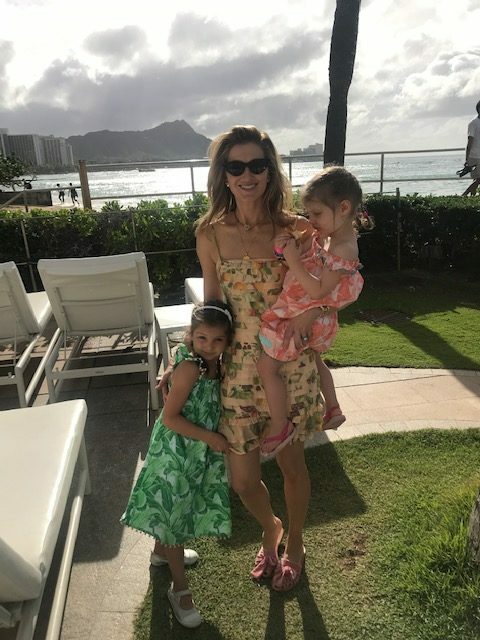 At the end of last year we headed to Hawaii for a family holiday and it was such a great getaway for many reasons. 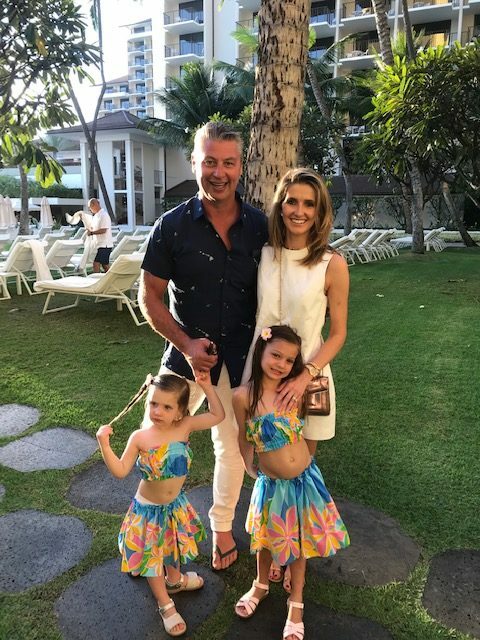 It was obviously great to be able to spend time with my family and parents but there was so much to see and do that we never ran short of activities and as such it made having the kids in tow so much easier. The trip to get there was also relatively straightforward in that we weren’t dealing with changing planes or gruelling long haul flights so by the time we arrived we were ready to hit the ground running and make the most of our time there. If you’re planning to head over there yourself here are my favourite places to stay, eat and shop. 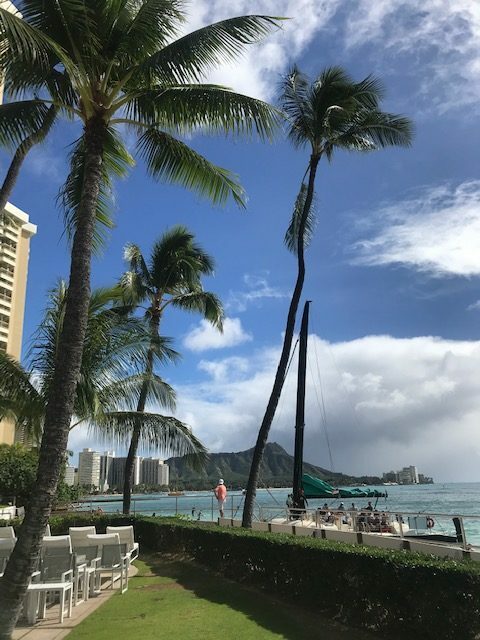 We stayed in Waikiki in Oahu and there are hotels aplenty to choose from. We ended up staying at the Halekulani which was great. It’s in a convenient location, has easy access to the beach and the rooms and property are stunning. 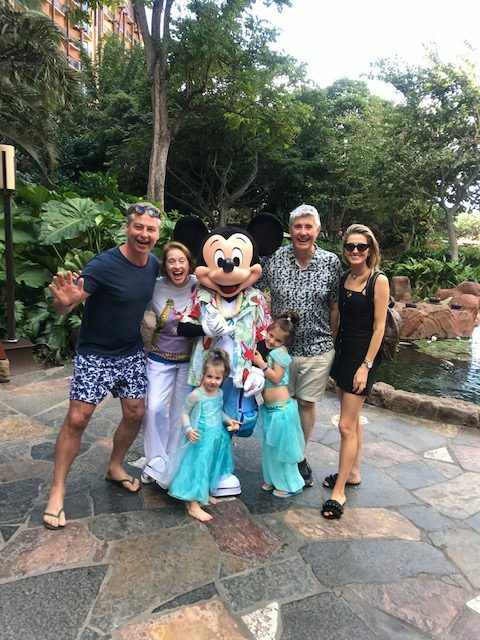 We also spent a few days at the Aulani Resort for the kids. It’s a Disney Resort & Spa so the girls absolutely loved it. There are characters like Mickey, Minnie and Moana walking around and whilst there are no rides there are plenty of pools and waterslides to keep little ones occupied. If you’re considering it, I’d recommend staying around 2-3 days. Even if you don’t stay at the Halekulani make a point of going to House Without A Key, which is an outdoor bar/restaurant on site. It’s a great vantage point to watch the sunset with live entertainment such as Hawaiian music and traditional dance. We did this every evening as it was a good spot to enjoy a drink and it’s kid-friendly too. Also try the Sunday buffet at Orchids which is also located at the Halekulani. It’s a good place to enjoy the water views and the food’s top notch. Be sure to book a table next to the grass so the kids can play. Treat the kids one morning to the Disney Character Breakfast at the Aulani Resort. The Disney characters come out and sing around the tables so it will keep them entertained whilst you enjoy breakfast and a cup of coffee. ‘Ama’Ama which is also on site is also a nice restaurant option if you do decide to stay at the resort. 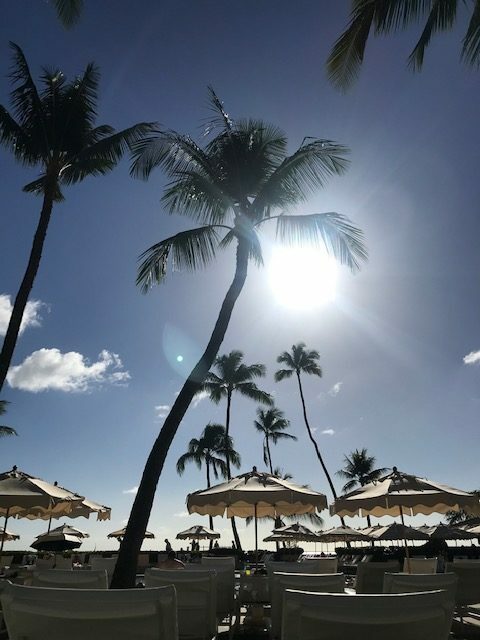 Located next door to the Aulani Resort is the Four Seasons Resort Oahu at Ko Olina and they’ve got a great selection of restaurants. The fish restaurant Mina’s Fish House is good for seafood lovers but if you’re in the mood to try local Hawaiian fare try La Hiki Kitchen. For a casual drink check out Tommy Bahamas for Happy Hour or the Mai Tai Bar at the Royal Hawaiian. If you’re in Hawaii you definitely have to have at least one mai tai! For a taste of home, head to Bills. We had brunch there nearly every day and it has the best coffee on the island. The atmosphere is really relaxed and the food is fantastic. Senia was my favourite restaurant experience in Waikiki. It’s a 15 minute cab ride downtown so it’s a bit further out but the food was amazing and well worth the trip. There’s an a la carte menu but if you’re in the mood to indulge check out the degustation. For a red meat fix, head to HY’s Steakhouse and Cocktail Bar. It’s had an old school feel with the waiters in tuxedos and the food is great. They also have live music on Wednesday, Thursday and Saturday which is worth checking out. Nobu is always a good spot for Japanese and it definitely didn’t disappoint. The restaurant has a great vibe and we definitely left with happy tummies. Alan Wong’s is the spot to head for a taste of regional Hawaiian cuisine. The ingredients are sourced locally so everything is really tasty and fresh. 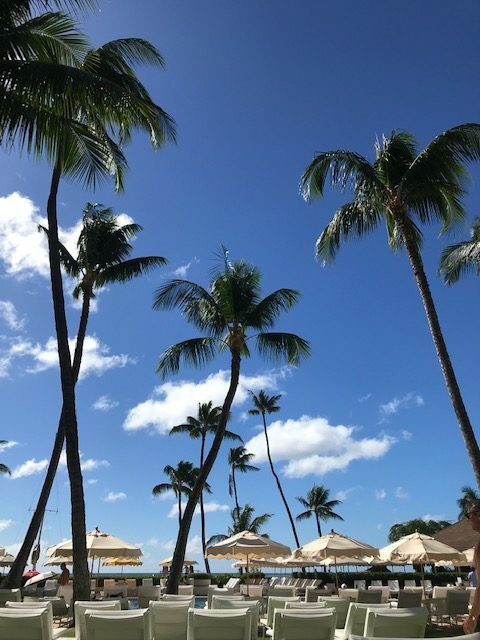 Sun, sand and relaxation – what more could you want? Ala Moana Center is the place to head for a retail fix. It’s an outdoor style mall with everything from high end designers like Chanel and Gucci to US department stores like Bloomingdale’s, Macy’s and Neiman Marcus. Along the main strip of Waikiki is Kalakaua Avenue and there’s store after store to check out including Tiffany & Co, Miu Miu and Saint Laurent. You’ll also find chain stores like Forever 21, Sephora and H&M so there’s a good mix to be found. The Waikele Premium Outlets are a 30-minute drive from Honolulu and you can drive there or catch the bus, a taxi or book a seat on the shuttle bus. They have a range of outlet stores from different brands including Calvin Klein, Tory Burch and Ralph Lauren. Have you been to Hawaii? What are some of your fave spots?